Ecuador is a small country, yet home to one of the planet's true natural paradises - the Galápagos Islands, where this journey begins. Stay at a safari camp amid Darwin's laboratory, and discover endemic birds and rare and beautiful creatures found nowhere else on Earth. Snorkel with sea lions and observe flightless cormorants. Watch Blue-footed Boobies nesting and walk through a colony of Giant tortoises. Explore volcanic beaches, mangroves and lagoons by foot and Zodiac. Then, return to the mainland and drive into the Andean mountains for a stay at a splendid 17th century colonial home that is also a dairy farm and host to a working embroidery museum. Visit High Andes habitats and see volcanic mountains painted with verdant forests and aquamarine crater lakes. Hike, horseback ride or mountain bike along the Condor-Huasi route to view ancient pre-Incan pyramids, and learn about the endangered Andean condor. You are met upon arrival and escorted to your hotel in Quito, nestled deep within the valley of towering Andean volcanoes at 10,000 feet above sea level. Today, fly to Baltra Island in the Galápagos and, accompanied by a bilingual naturalist guide, drive across the narrow Itabaca Channel to Santa Cruz Island. Explore the area amidst pit craters and lava tunnels and the endemic Scalesia forest. Visit the giant tortoises at the Tortoise Reserve. Enjoy two days of boat excursions to neighboring islands for nature walks and hikes with expert naturalist. The Galápagos Marine Reserve is the second largest in the world dive in and snorkel off the boat to experience the richness of the aquatic species found here. Drive up Cerro Mesa for dramatic views of the surrounding island; visit El Garrapatero Beach with its pristine white sand, contrasting mangroves and black lava formations, and inviting turquoise water; and enjoy a cruise aboard a fishing boat with local fishermen. Fly from Balta to Quito, then drive up 9,600 feet through the Andean mountains to the Hacienda Zuleta, a splendid 17th century colonial home set on 5,000 acres. The property features lush forest, pastureland, a working dairy farm, and one of the most exclusive horse stables in Ecuador. Its Zuleteo horses are a unique breed robust and noble with a perfect disposition for trail riding. Explore the trails of the Condor-Huasi route, ideal for horse riding, hiking and mountain biking. See the ancient pyramids constructed by the pre-Incan Caranqui Indians. Learn about the aviary dedicated to the rehabilitation of the endangered Andean Condor. Admire the beautiful embroidery work at the museum and at Zuletas own non-profit workshop. Enjoy a visit to the organic farm to feed the calves and sheep, watch the vaqueros (cowboys) in action, and see the cheese factory before you are transferred to the airport for your flight home or on to your next destination. 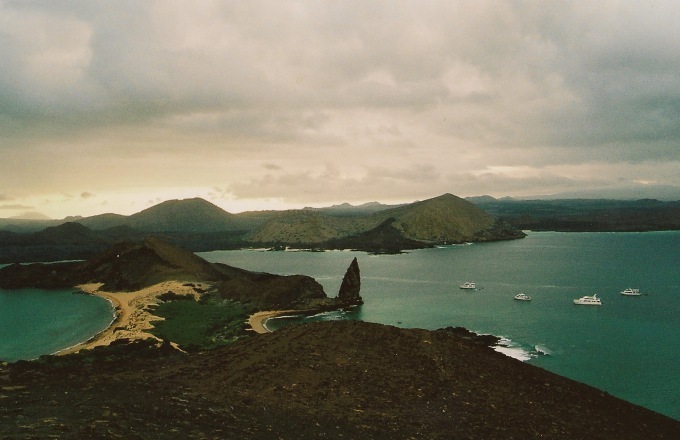 The Galápagos Archipelago is one of the last places on the planet to be relatively untouched by man. With only three percent of the landmass inhabited, the islands support a remarkable ecosystem and have one of the planets most important marine reserves. Galápagos Safari Camp is a new way to see the Galápagos; the eco-luxury tented camppioneering in Latin Americafollows the African safari tradition in which guests enjoy total comfort under canvas while experiencing nature in its purest form. The stylish central lodge is perched on a hill with panoramic views from its spacious veranda. Guests can relax in the lounge and bar with their cozy fireplace or savor the local and international dishes created by creative chefs with home-grown produce in the dining room. Zuleta is a colonial working farm of 4,000 acres that has belonged to the family of Mr. Galo Plaza Lasso, a former president of Ecuador, for more than 100 years. It was chosen as one of the world's Top Ten Finds by Outside magazine and named as one of the best Ecuador Hotels by National Geographic Traveler. The Hacienda has 15 beautifully decorated bedrooms, all with their own fire place; antique gardens along with cozy living and reading rooms offer a peaceful atmosphere. Delicious and traditional Ecuadorian cuisine is offered daily, prepared with organic vegetables, trout and dairy products produced at the Hacienda. For extracurricular activities guests may consider horseback riding, a ride in a horse-drawn carriage, or a visit to the Condor Huasi Project that works for the rehabilitation of the Andean Condor.